What struck me was the underlying assumption beneath that question – the Nokia 110 that I held could not possibly be my permanent phone of choice. It was not until then that I realised the ubiquity of smartphones. It was not so much about the cliché of not fitting in; it was about how I managed to live my life without relying on a smartphone. No longer were smartphones merely technology fads or social trends, they were now a tool for survival. Receiving comments like “Is that your phone? Classic!” and “Have you turned into a hipster?” proved further that the brick phones we all once used and loved have been relegated into second-class citizens in a world where smartphones reign supremacy. Yet, was my Nokia deserving of this status? While smartphones are celebrated mainly for their functionality, was there a vast difference I had to adapt to? The Nokia 110 did have Internet access – but the screen was tiny, so there was a lot of scrolling to do. Often the browser could not support certain features. Loading the browser itself was so time-consuming (one whole minute! The horror) I eventually gave up and borrowed my friend’s iPhone instead. Although this meant less interaction with my best friend Google, it also meant fewer distractions and less dawdling on sites like RafflesPress. With a special shortcut, I managed to check my mail without having to go through the browser. While the brick phone was definitely less practical than a smartphone, I did not feel as though I had been living under a rock. I did feel excluded, however, when it came to socialising. I could still text and make calls – but there was no WhatsApp, which seems to have become a staple in our social correspondence. I could not join in my OG’s or class’ conversations and jokes. Nonetheless, my OG mates and classmates would fill me in, so I was not completely cut off from civilisation (or rather, socialisation). Furthermore, there was a shortcut for Twitter – although refreshing the page and loading tweets took aeons. There was no function for downloading apps; thus I was stuck with games the phone provided. I recalled the times when games like Snake and Bounce were my favourite pastimes to avert boredom – now they were the epitome of boredom while everyone else was into the latest craze of 4-pic-1-word. 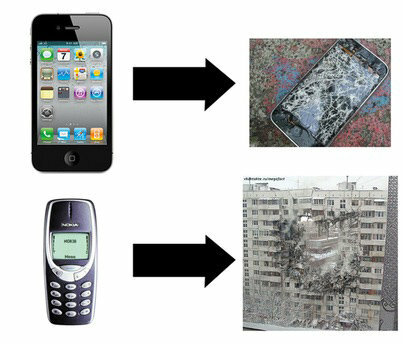 There were shortcomings of the brick phone when compared to smartphones. But let us not forget how the term ‘brick’ became associated with such Nokia phones as well: their robustness and durability. The hardy lithium ion battery cell could last at least two weeks, an impressive feat compared to the 36-hour lifespan of most smartphones today. Being the blundering butterfingers (the story behind the departure of my Blackberry) I am, its tough-as-nails exterior left it good as new no matter how often I dropped it. Perhaps the greatest takeaway from my experience of using a brick phone in the age of the smartphone would be the evolution of the role of mobile phones. I remember being astounded by my very first phone – a Nokia 3310 – simply because it could send messages and make phone calls. The primary purpose of a phone ten years ago was communication. Today, that would be considered inadequate. In this age, the function of a phone encompasses not only communication, but socialising (that is, telling everyone on Twitter what you had for breakfast) and entertainment (that is, killing pigs with birds). We require high-resolution cameras so we can post photos of our Starbucks coffee on Instagram. We need touchscreen, QWERTY keyboards because pressing a button thrice to type the letter ‘o’ simply takes up too much time and energy. We cannot live without music blaring into our ears – hence we are always plugged into our earphones (which is perhaps why we have to resort to smartphones for communication; we cannot hear what others are saying even if a conversation is carried out in person). 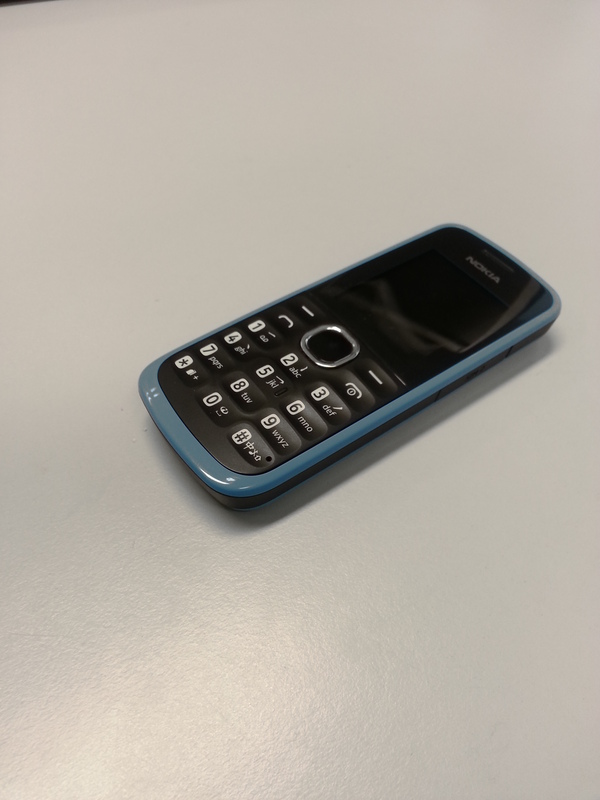 As for now, I will continue using my brick phone until my contract expires. I believe however, that I may be beginning to form an attachment to this phone. This small, slender phone that can fit into my palm exudes a vibe of loyalty and resilience that I can relate to. Perhaps I shall stick to this Nokia 110 as a manifestation of my refusal to conform to the rise of the all-encompassing smartphone. Note: While the Nokia 110 is relatively new compared to the Nokia 3310 – the bona fide ‘indestructible Nokia’ – it is still considered a feature phone as it lacks advanced attributes, and targets customers who want an affordable and multipurpose phone without the high expense of a smartphone.